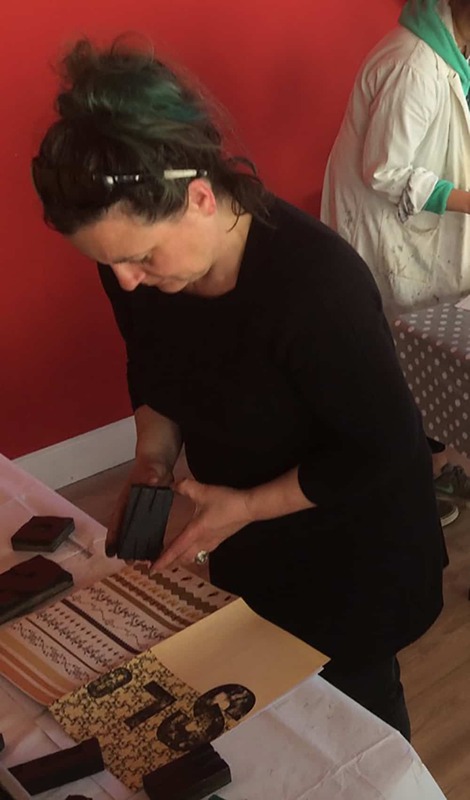 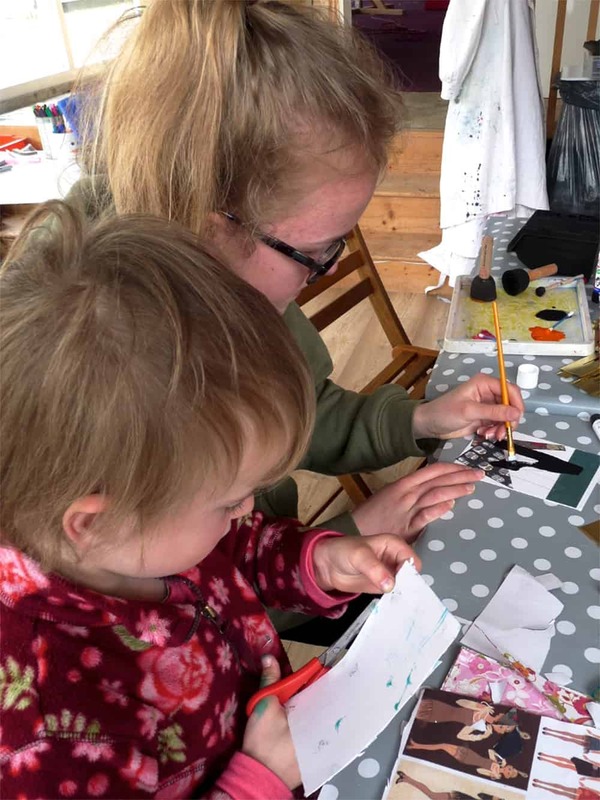 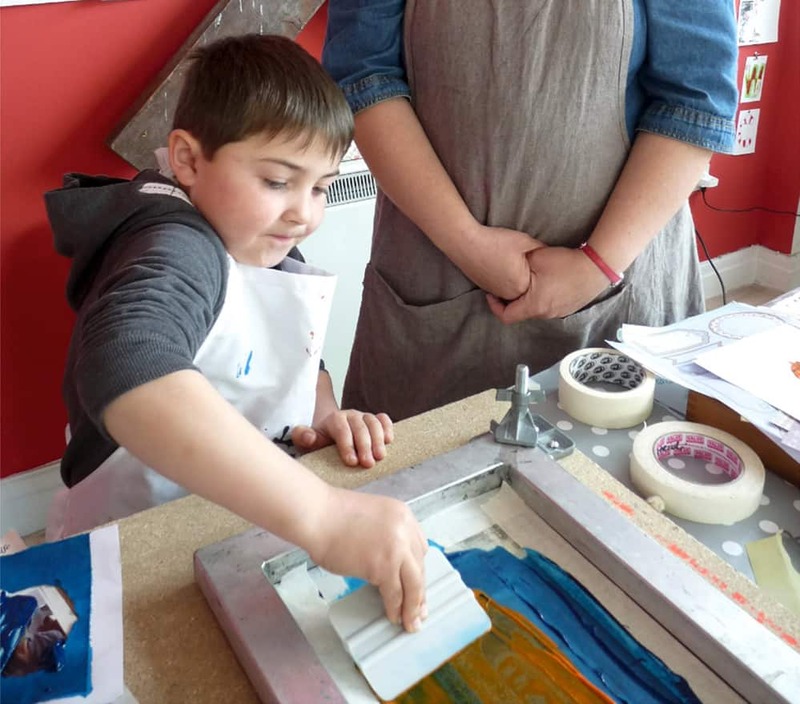 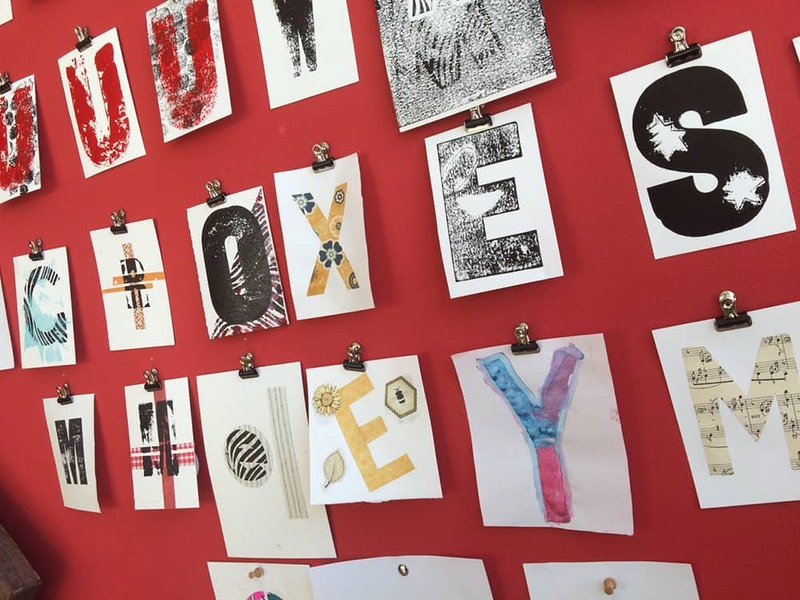 Local graphic designer and member of the pop-up Haverfordwest Art Studios, Heidi Baker (assisted by three students from Pembrokeshire College’s Art & Design Foundation and BA courses) hosted three design-led public workshops. 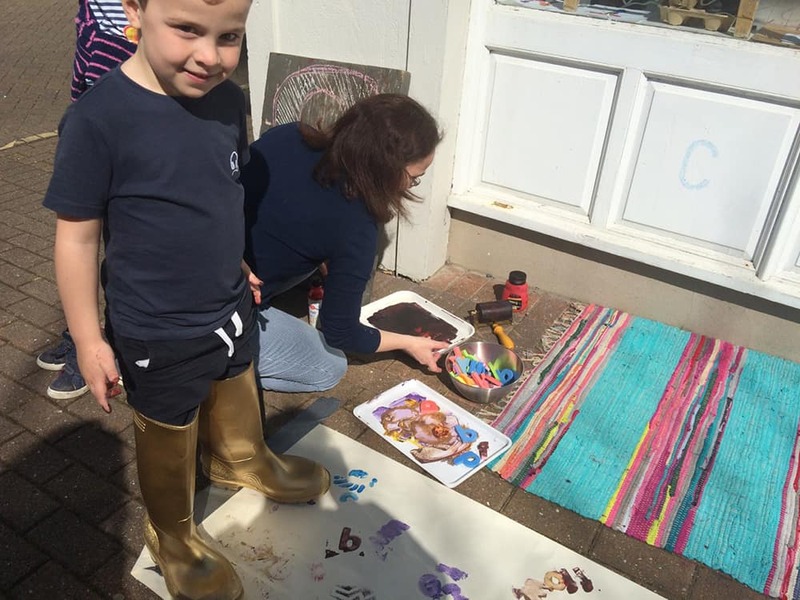 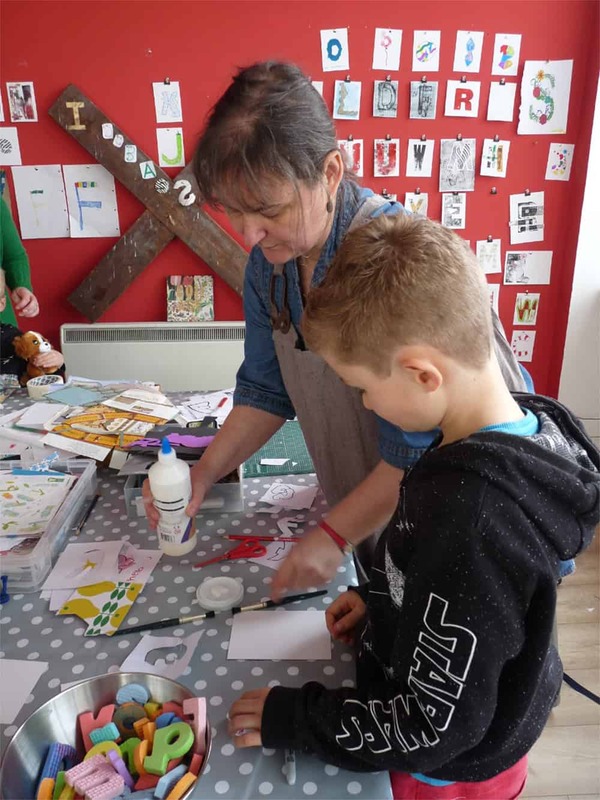 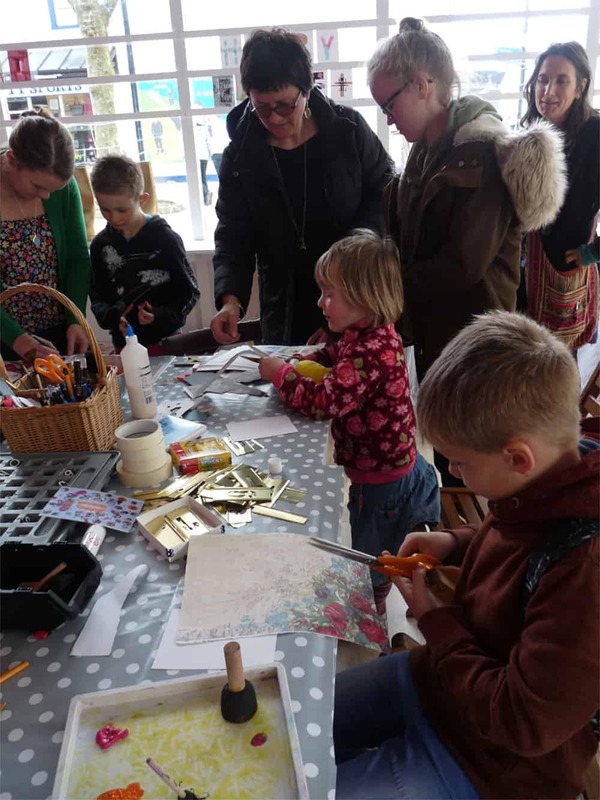 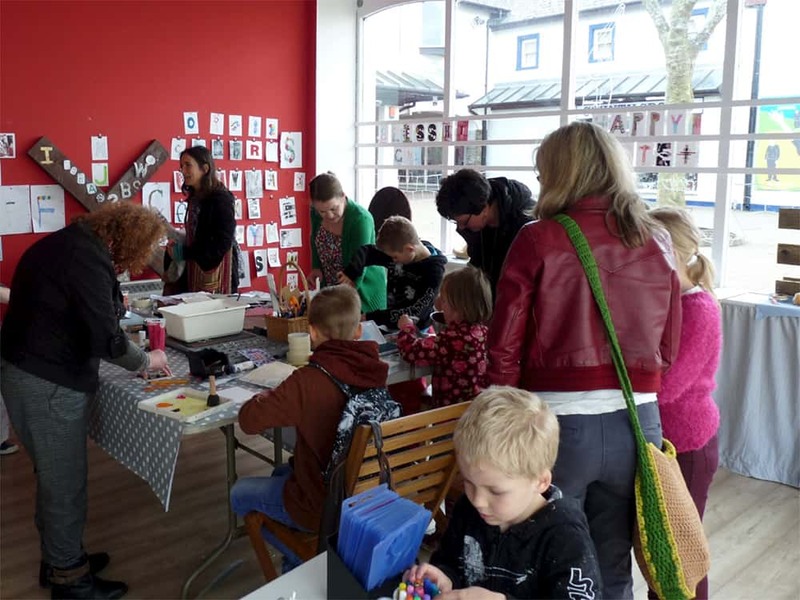 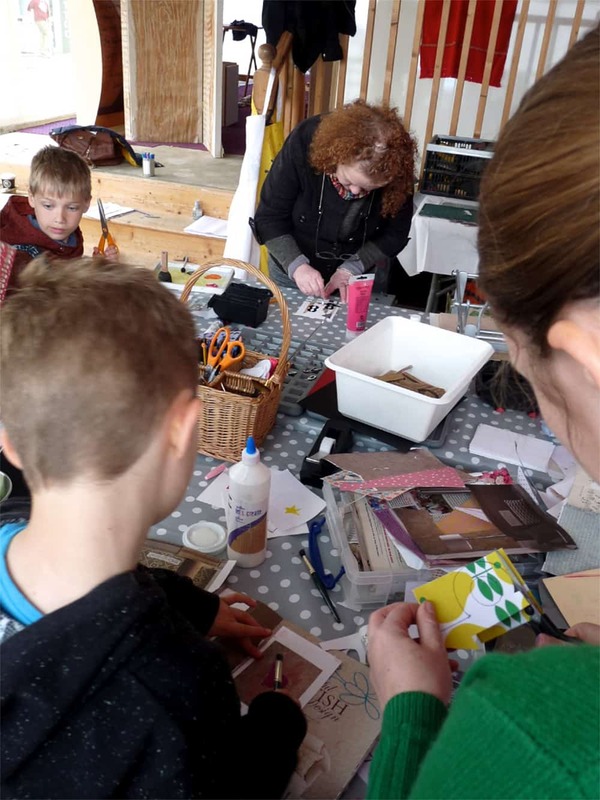 Taking part in the workshops, which ran over three Saturdays during the Easter school holidays, 52 participants of all ages used a magnetic letter board to form words and phrases that sprang to mind when thinking about Haverfordwest. 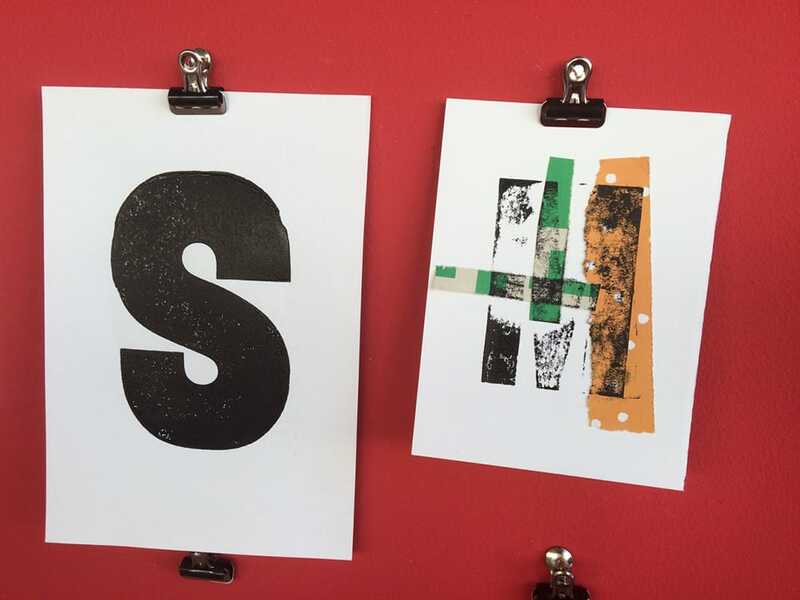 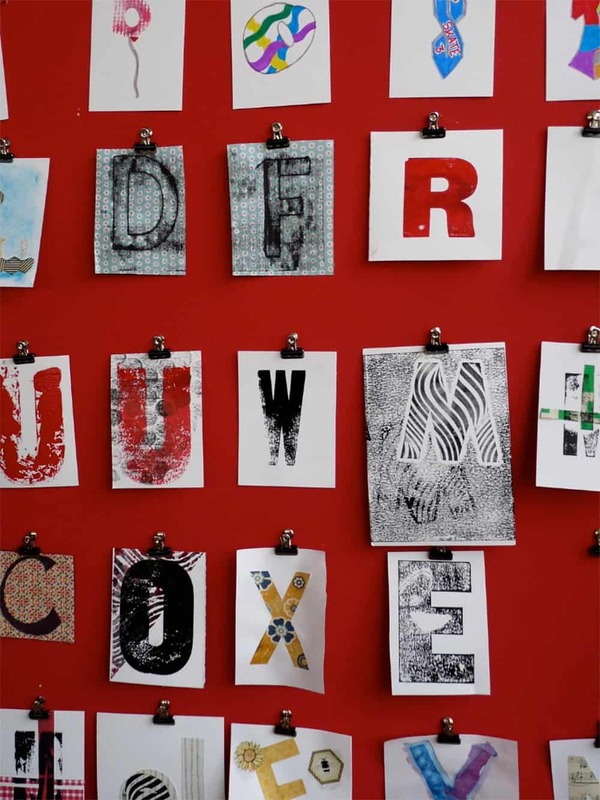 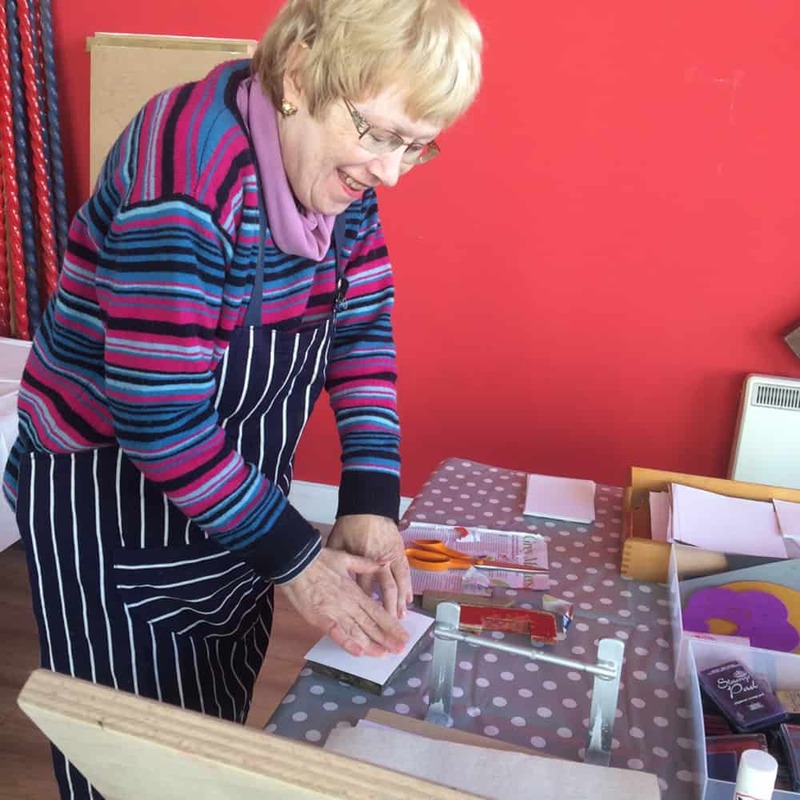 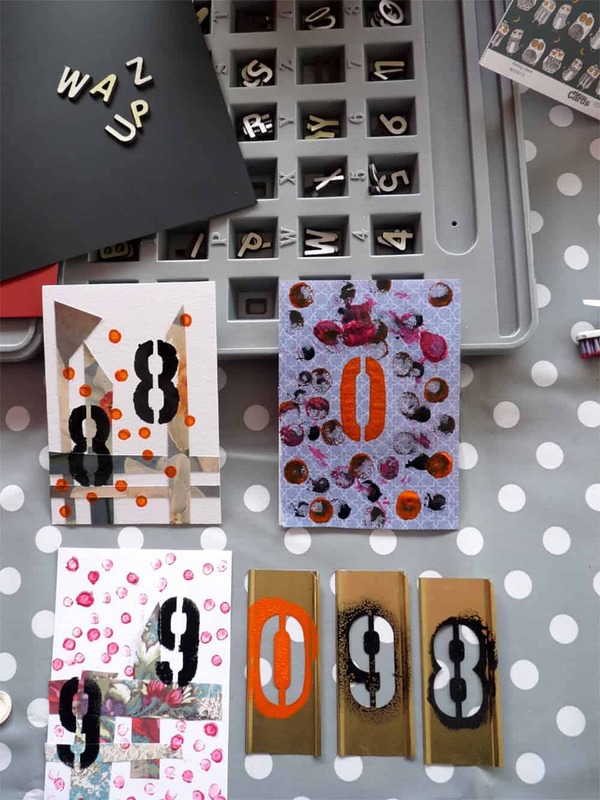 Under Heidi’s guidance they created postcards depicting letters of the alphabet using stamps, collage, stencils, letterpress, direct transfer, block and screen-printing. 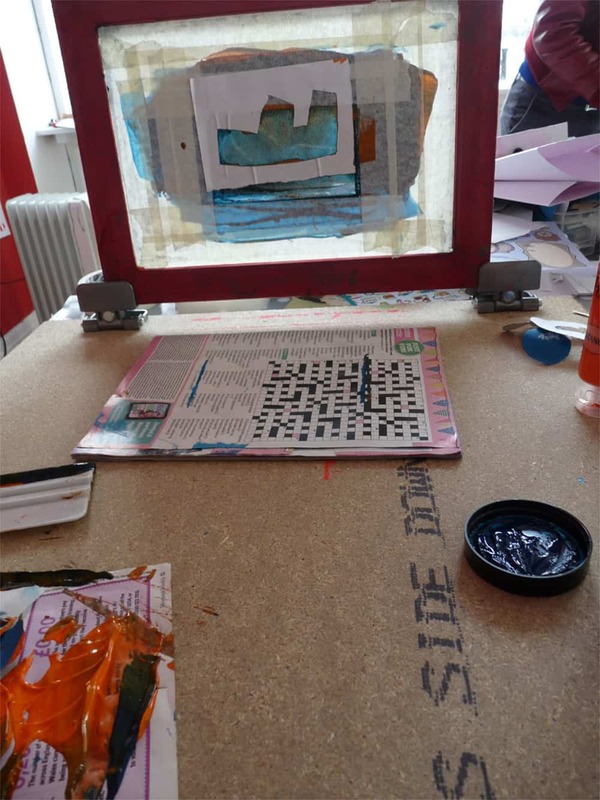 You created such a relaxed, calm, creative and productive vibe, I’m not surprised that the end result is so beautiful. 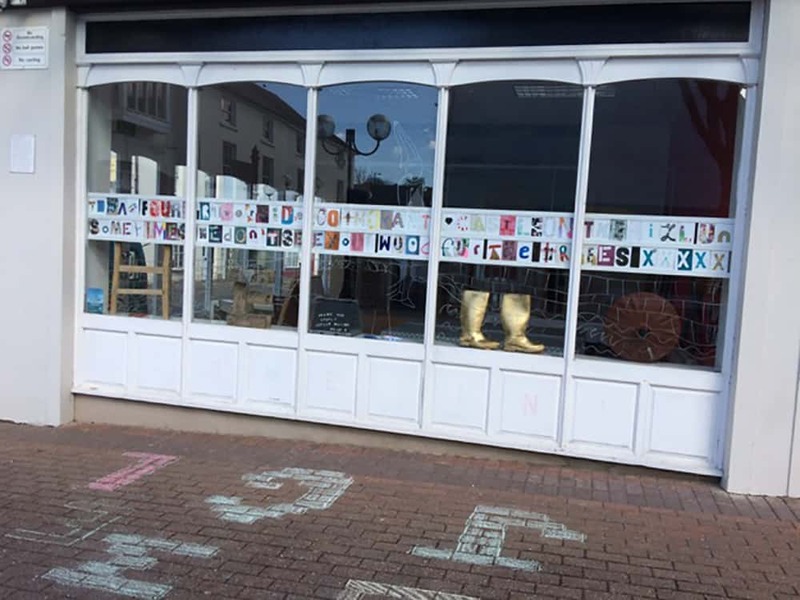 Thought it looked fantastic…we enjoyed working out the poem…really so lovely. 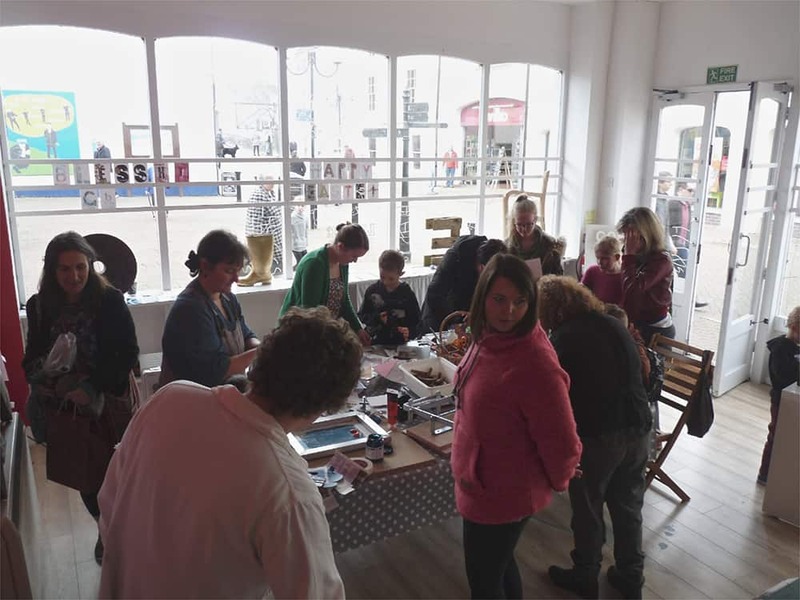 Really enjoyed deciphering Letters to Haverfordwest. 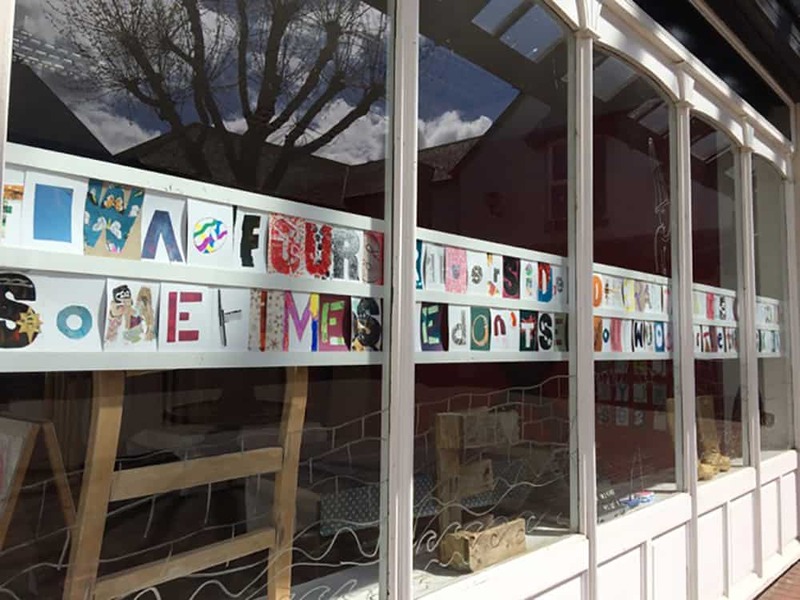 I love the way that it wraps around the building and that a careful, repeated and prolonged perusal is required to appreciate the beauty of each letter and grasp the overall meaning. 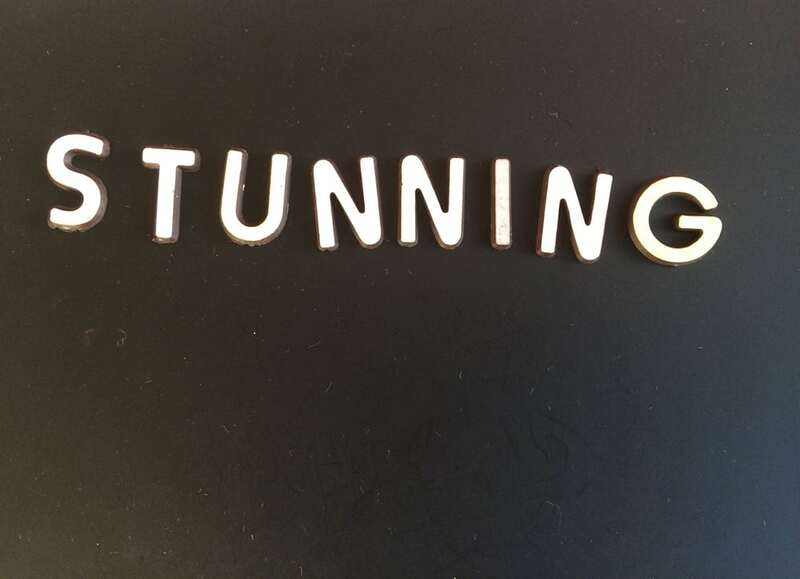 A triumph…I love it! 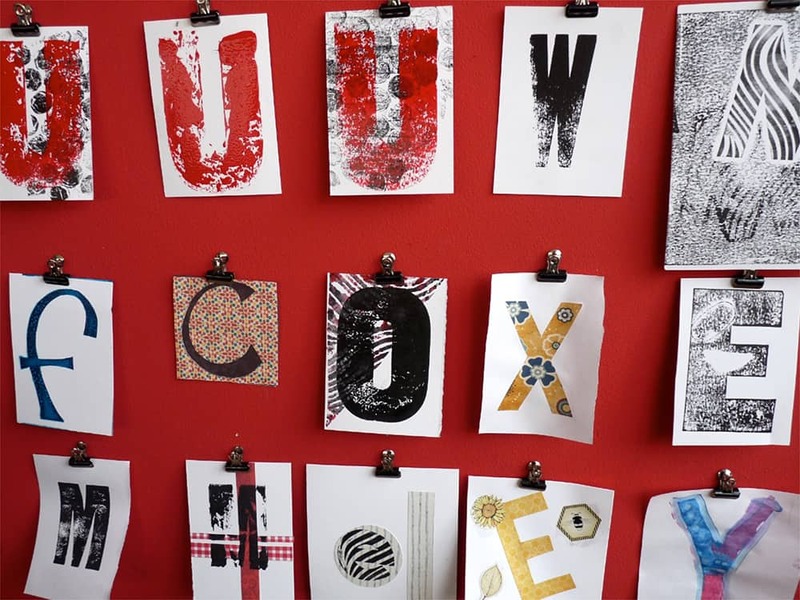 Every letter is so different, but it goes to make a whole … just like the people in our town! 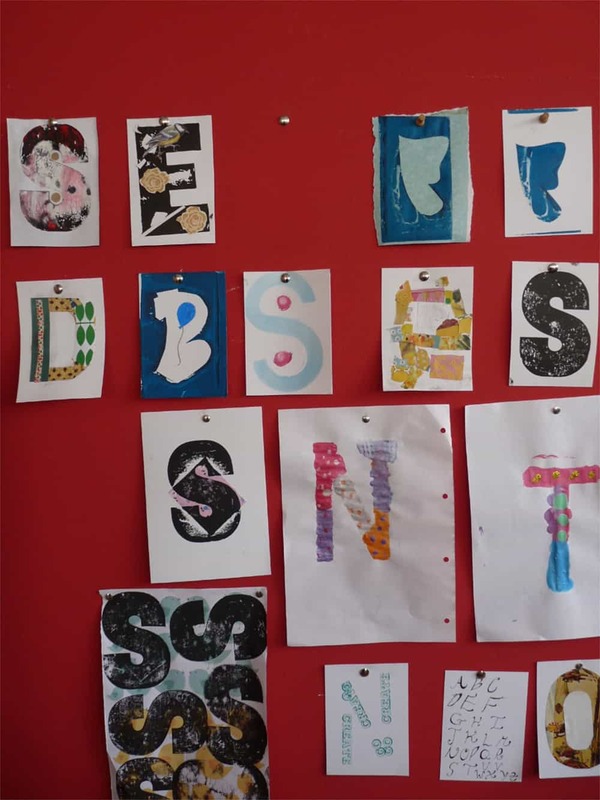 I am very proud to see my letter in the poem. 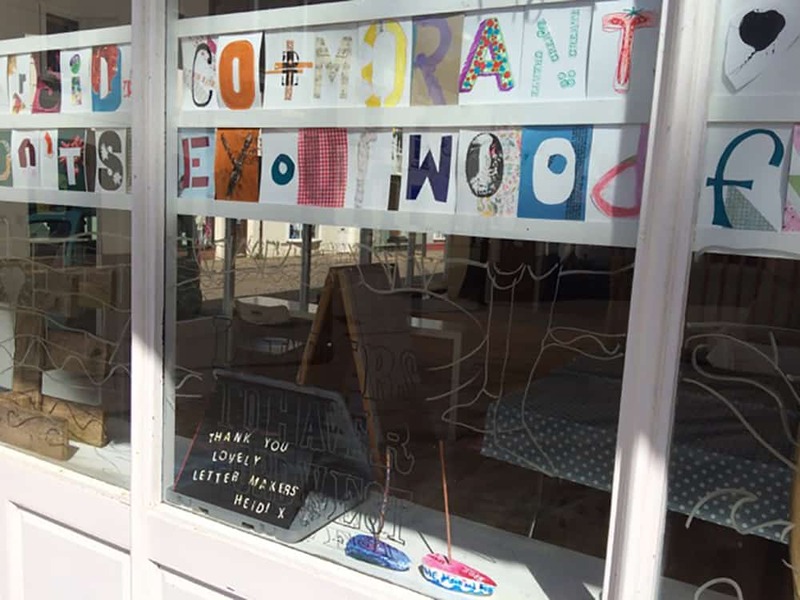 Heidi’s poem, and the ‘letters to Haverfordwest’ which were created throughout the workshops are on show in the studio window, opposite Wilko’s.